I LOVED my September sailing on the J&E Riggin this year. September is sailing supreme in Maine. The wind was so good on our first day that we sailed all the way to Blue Hill Harbor–after leaving Rockland Harbor mid-morning. Word was that we were going 10 knots for part of the sail. We were skimming across the water like a giant bird sailing across the sky. I signed up for next September. Of course I did. Rhea’s use of fabric is stunning, interesting, and fun. 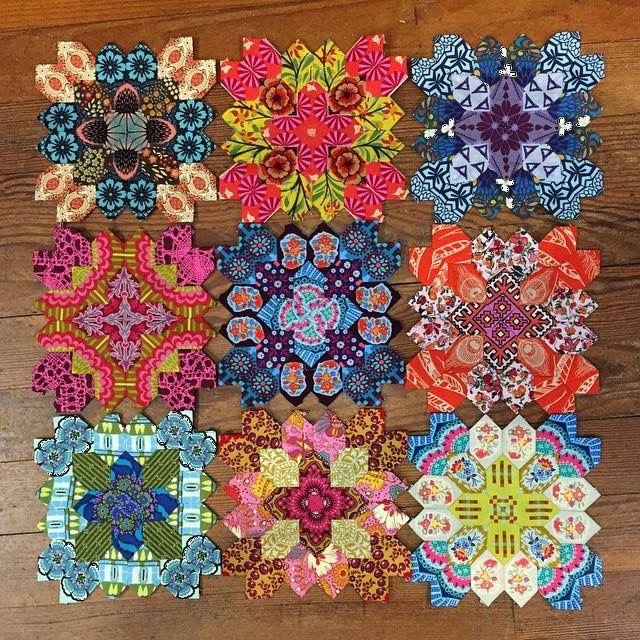 Here are some samples of her and other staff members Lucy Boston blocks. You can see they really enjoyed “fussy cutting” contemporary fabric patterns–as did Lucy Boston, but Boston did not have access to today’s amazing colors and patterns. 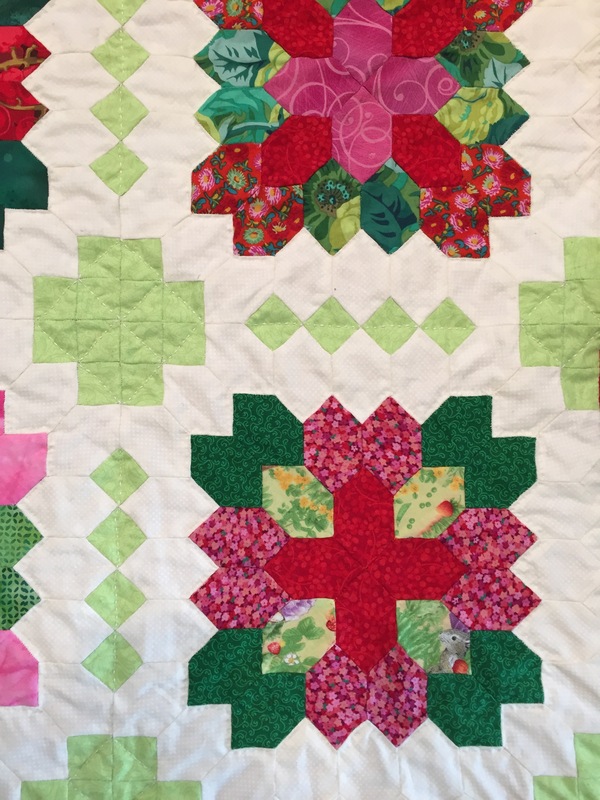 These blocks can be combined with other templates to make a whole quilt or floated on background fabric and appliqued–either singly or together. I used the templates (as did Lucy Boston) to make a background. But I am so looking forward to making blocks like Rhea and the Alewives staff do–and I want to applique them to background fabric in some way. Plain or exotic, quilting or not, Jon Finger and Annie Mahle will be sailing the J&E Riggin with me on board September 21-24, 2016, boarding September 20th.